On November 17, 2012, Beck's will celebrate the grand finale of its first German Beck's Art Label Edition themed 'Celebration of Independent Thinking' in Berlin. 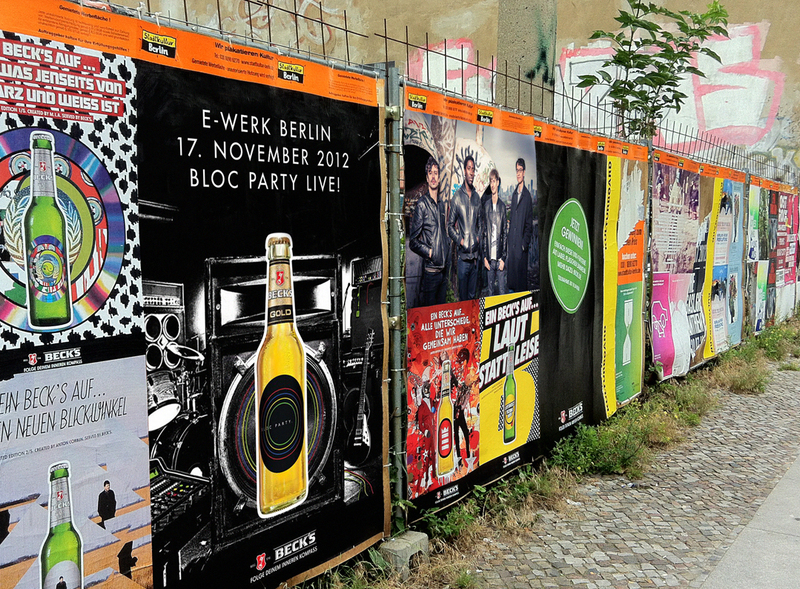 Bloc Party, who also designed an Art Label, will be playing live on stage - their only concert in Berlin this year. The party will take place at E-Werk and up to 1000 Beck's Facebook fans and celebrities will be there to celebrate with artists like Kid Simius and Bloc Party. Tickets for the event are given away exclusively through drawings via facebook and becks.de. Only real Beck's fans can win one of the few tickets for the evening. I wish you good luck if you're participating in the drawing.